Financial literacy is primarily concerned with the knowledge of how to best manage one’s finances. It endeavors to impart information and cultivate understanding while also affecting behavior. Financial capability similarly includes information and knowledge elements, but is distinct in that its core emphasis is on attitude and behavior change. Youth and families in the United States are facing an increasingly complex and perilous financial world. Economically disadvantaged youth, in particular, lack financial knowledge and access to mainstream financial institutions. ​On January 29, 2010, President Obama signed Executive Order 13530, creating the President’s Advisory Council on Financial Capability (“Council”) to assist the American people in understanding financial matters and making informed financial decisions, and thereby contribute to financial stability. Its mission is to coordinate and maximize the effectiveness of existing private and public sector efforts and identify new approaches to increase financial capability through financial education and financial access. This council advised the President and the Department of the Treasury on ways to empower Americans to better understand and address financial matters in order to improve their financial well-being. 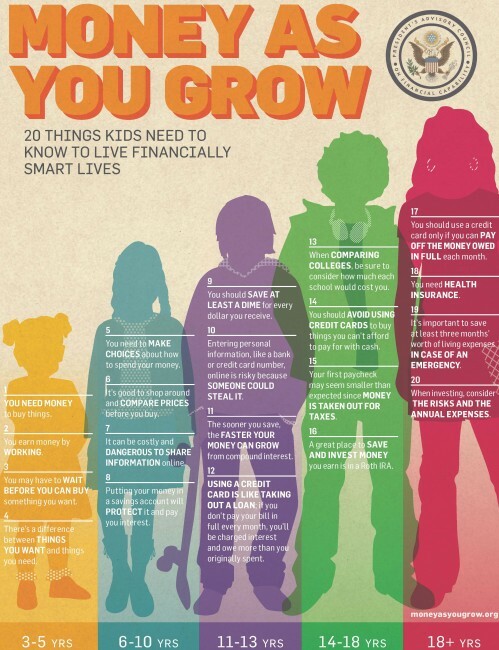 Based on a review of the research on financial literacy, the Council decided to concentrate its final recommendations on three primary places financial education should be delivered in order to reach Americans throughout their lives: school, workplace, and community. Additionally, Wisconsin has also enacted Executive Order #24, Creating the Governor’s Council on Financial Literacy to work to improve the Financial Literacy of Wisconsin citizens. “No issue is currently more important to this country than restoring economic security for all families in the wake of the (greatest economic crisis since the Great Depression.) From saving for retirement and higher education to better understanding credit card, student loan, and mortgage debt, personal financial decisions have important ramifications for families and children, as well as implications for our nation’s economy…This requires empowering every individual with the knowledge, skills, and access to tools to manage their finances effectively for long-term well-being. “Research shows that low levels of financial literacy are associated with high levels of indebtedness, lower wealth accumulation, and less retirement savings…Financial capability is especially low in certain populations. Young people, low-income households, Latinos and African-Americans show particular vulnerabilities in financial capability…Compared with U.S. national averages, young adults (ages 18-29) are more frequent users of non-bank borrowing (including payday loans and pawn shops), more likely to pay the minimum payment only on their credit cards, and more likely to be unbanked.